Sjal i 100% ull med fickor. 60x170 cm. Naturvit. 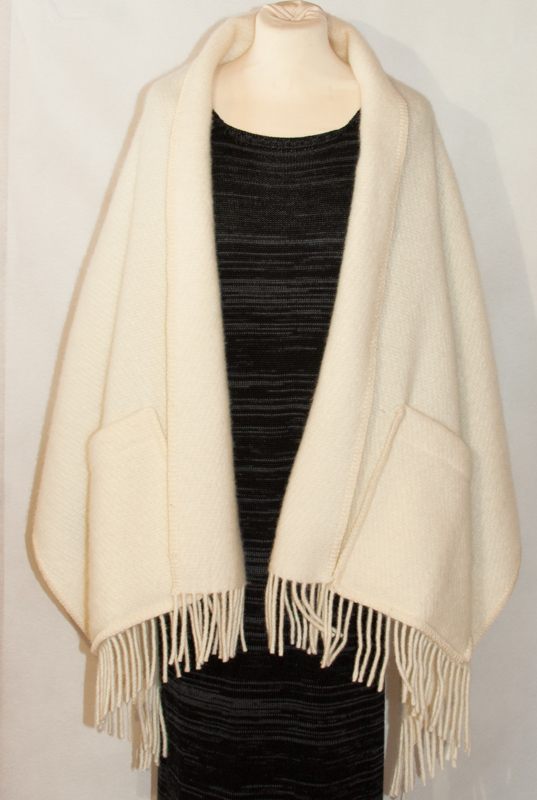 Shawl made of 100% wool with pockets, 60x170 cm. Off white.